Dr William Finnegan is a Research Fellow in Civil Engineering at NUI Galway, whose research work focuses on developing advanced engineering solutions for renewable energy systems, while also providing support on project coordination and reporting in MaREI@Galway. Dr William Finnegan is currently working as the Project Manager and lead researcher on LEAPWind, which is an EASME-funded project, which is developing novel solutions to leading edge erosion in offshore wind turbine blades. This €1.5 million project is industry-led by ÉireComposites and Suzlan for 24 months. In addition, Dr Finnegan contributes to research on a number of other projects within the Large Structures Testing Group at NUI Galway and to the coordination of MaREI activities within the group. Dr Finnegan graduated with an Honours Degree in Civil Engineering in 2009 and a PhD in Civil Engineering in 2013, which examined the ‘wave-structure interaction of offshore wave energy converters’. Following this, he spent 4 years working as a Post-doctoral Researcher at NUI Galway, where he was also Project Manager of the DairyWater Project (€1million budget), which explored sustainability within the Irish dairy processing industry. Between 2017 and 2018, Dr Finnegan spent a year on secondment with ÉireComposites, who manufacture renewable energy components from composite materials, as part of the SFI Industry Fellowship programme. In recent years, Dr Finnegan has contributed to funded research project proposals, either through leading the writing or collaborating, which have amassed total funding of over €4.2 million from both national and European sources. 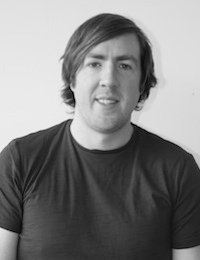 To date, Dr Finnegan has published 20 peer-reviewed journal papers and is a Chartered Engineer with Engineers Ireland. Further information about William can be found on Google Scholar & ResearchGate.